In any business, profit is the ultimate goal, but the motivation driving that profit can mean the difference between a short-term venture and long-term success. That’s the power of purpose. According to Forbes, purpose-driven companies are more likely to have motivated employees, satisfied customers and higher business success than those that don’t. Purpose increases engagement across the board and helps drive growth. Moreover, with the rise of consumer activism in recent years, building a business grounded in purpose is more important than ever. So, what exactly is purpose? Fast Company tells us that a mission-oriented business focuses on the what, while a purpose-driven business focuses on the why. It’s about choosing a direction that is personally meaningful and socially beneficial for the long term. To get there, you need to spend time identifying the values that resonate with you, your employees and your customers. Find that intersection and take intentional steps to orient your business around it. 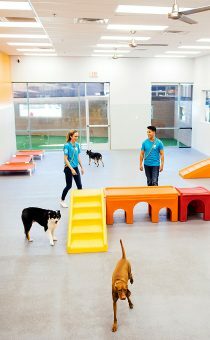 Here at Dogtopia, we seek to enhance the joys of dog parenthood while enabling dogs to change our world. We’ve built our business around that by creating loving, safe environments and providing a growing range of services that care for every aspect of a dog’s life. We look for ways to enable dogs to positively change our world through the Dogtopia Foundation, which focuses on three worthy causes: funding service dogs for veterans, youth literacy programs, and employment opportunities for adults with autism. By rallying behind a core purpose, our franchisees can start and grow a business they feel good about owning. 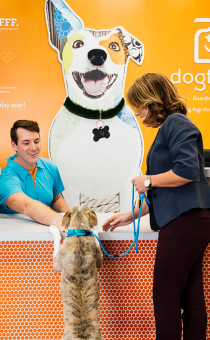 For more information on how you can join North America’s fastest-growing pet franchise, click here.